T. Rae Mitchell here, your host for this portion of the hunt! 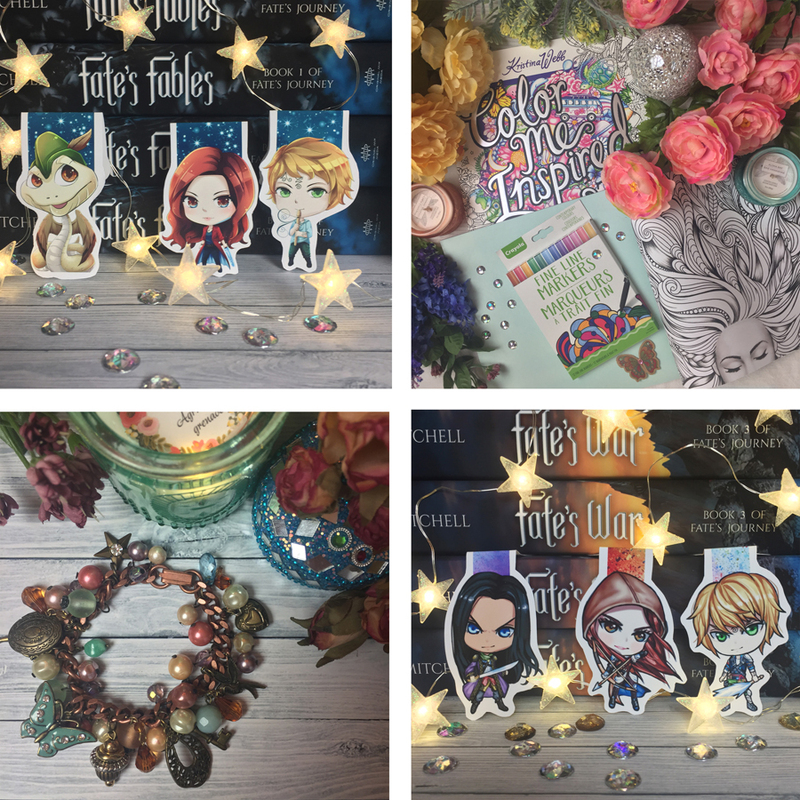 I’m an incurable fantasy geek who loves mixing fairy tales, folklore and legends with our everyday world to see what kind of magical stories emerge. 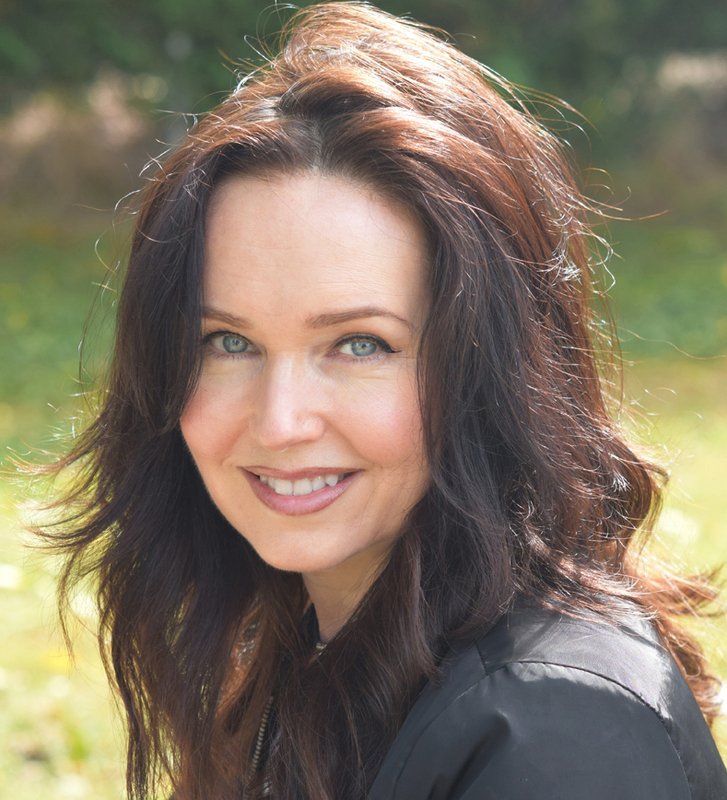 I’m best known for my young adult fantasy series FATE’S JOURNEY, which can be found on numerous Amazon Top 100 Best Seller lists, such as Coming of Age Fantasy and Fairy Tales & Folklore. Directions: Below, you’ll notice I’ve hidden my favorite number. Collect the favorite numbers of all the authors on the BLUE TEAM, and then add them up. HINT: My secret number is marked in BLUE. Rules: Open internationally, anyone below the age of 18 should have a parent or guardian’s permission to enter. To be eligible for the grand prize, you must submit the completed entry form by October 7th, at noon Pacific Time. Entries sent without the correct number or without contact information will not be considered. Now that we’ve got all the how-to’s out of the way, I’d like to introduce you to the author I’m hosting on this hunt. Helen Vivienne Fletcher is a children’s and young adult author, spoken word poet and award-winning playwright. 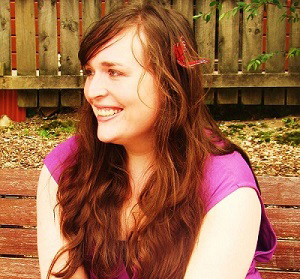 She discovered her passion for writing for young people while working as a youth support worker and now helps children find their own passion for storytelling through her work as a creative writing teacher. 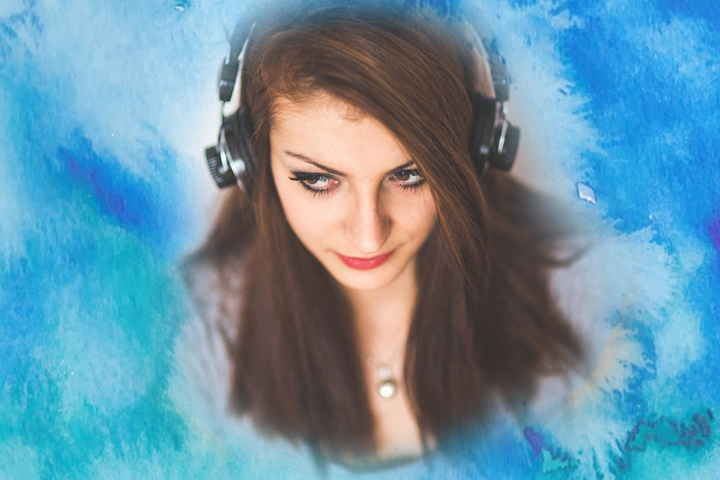 Underwater is her second young adult novel. You can find out more about Helen’s books at www.helenvfletcher.com and connect with her on Twitter, Facebook and Instagram. Bailey has a lot of secrets, and a lot of scars, both of which she’d like to keep hidden. Unfortunately, Pine Hills Resort isn’t the kind of place where anyone can keep anything hidden for long. When Bailey arrives, she just wants to get through summer quietly, spending as much time in the water as she can. Then she meets Adam. Bailey’s not looking to make friends, but Adam isn’t easy to ignore. Neither is his ex-girlfriend, Clare. As Bailey grows closer to Adam, she draws Clare’s animosity. Will Bailey be able to keep her past a secret, or will Clare discover and reveal the sinister truth about how Bailey really got her scars? EXCITING BONUS CONTENT UP NEXT! I hope you enjoyed meeting Helen Vivienne Fletcher and learning all about her featured novel. 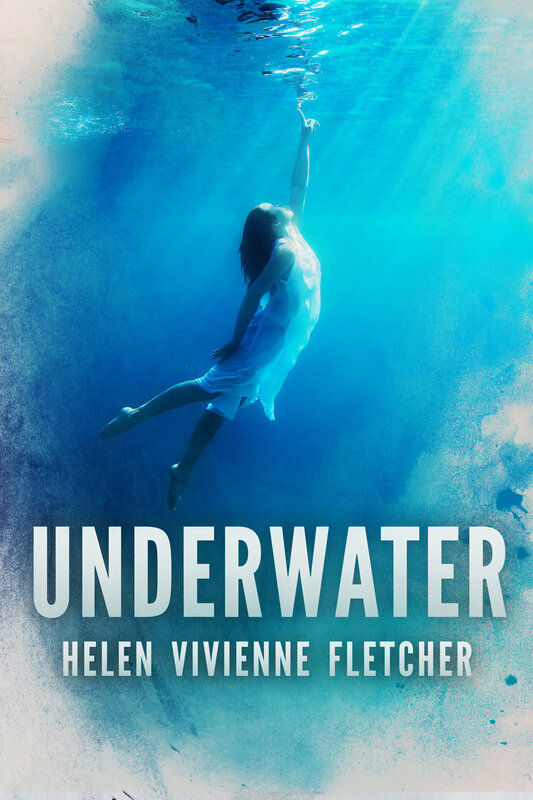 Remember to add Underwater to your TBR on Goodreads. Now back to the hunt. 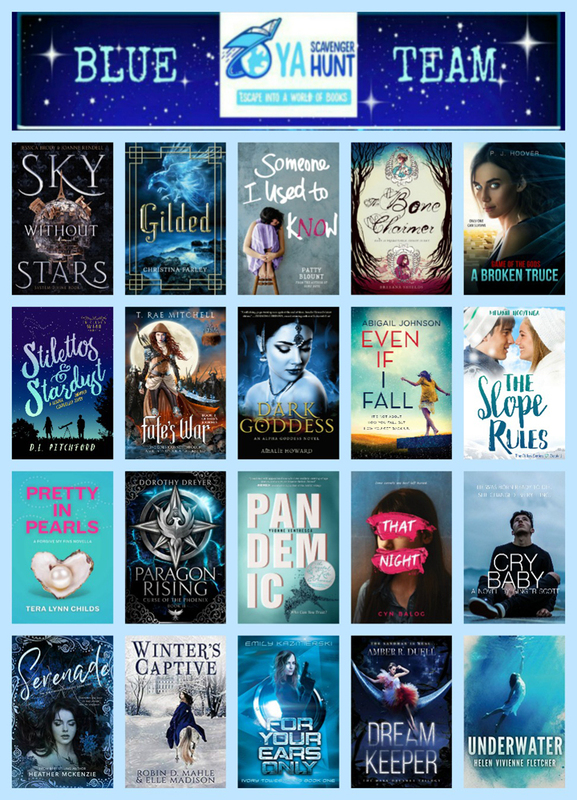 It’s time to enter the contest for a chance to win a ton of paperbacks from all us authors! 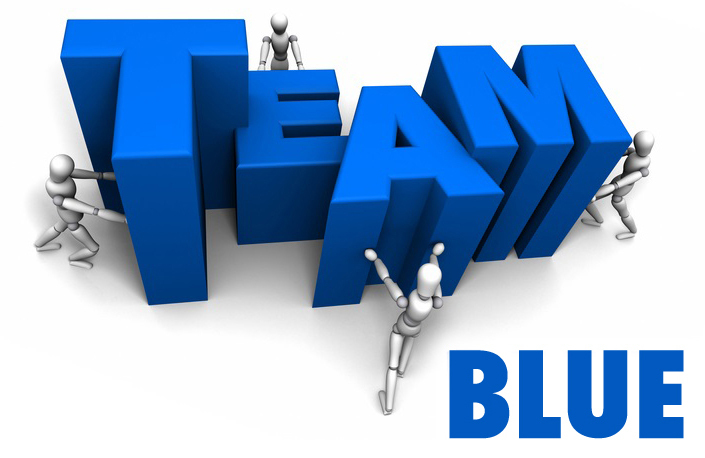 Check out the books on TEAM BLUE. To enter, write down my favorite number hidden below in BLUE, find all the other numbers on TEAM BLUE, add them up, and you’ll have the secret code to enter for the grand prize! BTW, I’m celebrating the recent release of my third book in series, FATE’S WAR! 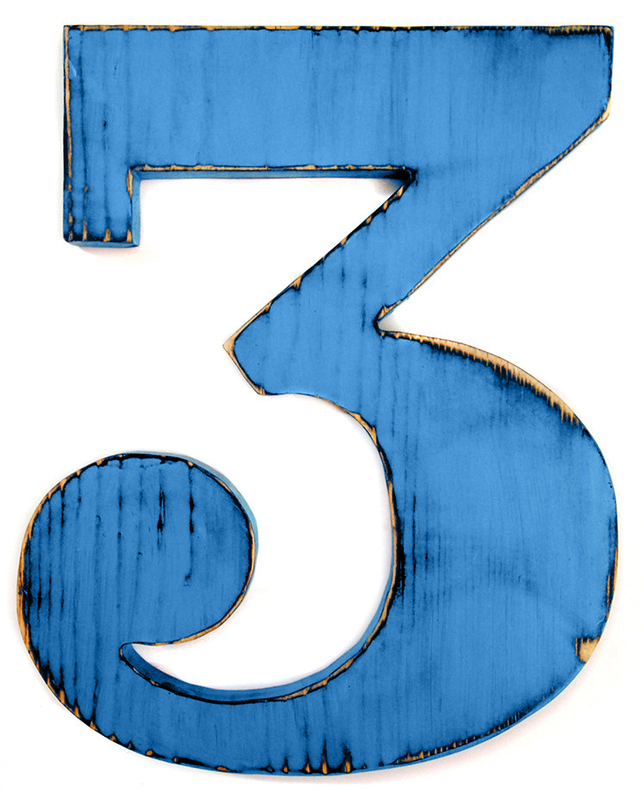 That’s three, as in secret number three. Wink, wink. Before you go, ENTER MY GIVEAWAY for a chance to win lots of fun prizes! Ready to move on to the next link in the hunt? Click HERE to hop over to author P.J. Hoover’s page. Thanks so much for visiting and best of luck with all the contests! ← Announcing the Winners from my YASH Giveaway! I would like mind reading!! If I had one super power it would definitely be healing!! I would heal myself but I would heal anyone that is hurting physically, mentally and in any way they were hurting. If I had any power, it would be the ability to speak any language so that I could communicate with anyone! Yes, that would make traveling the world so much easier! If I could have any power it would be to fly. Would make taking trips so much less expensive! XD But, if that’s my power can I choose to have a nice set of angel wings to go with it? Asking for a friend. Healing! I’m a nurse, so it makes sense lol. “If you could have a magical power, what would it be?” To gain lost youth, great health, and incredible beauty! If I could have any magical power it would be the power to create illusions, like Adelina Amouteru from The Young Elites! I hope I’m blessed enough to win this. The bracelet and the coloring book and markers look AMAZING. I don’t really want magical powers. Maybe mutant powers, like phasing through things like Shadowcat. Or Captain Marvel’s powers from the new movie. I would love to have the power of teleportation to be able to move around and get away quick! Also maybe super healing powers would be nice. Thanks for being part of the hunt! I think I would like the power of healing. Or talking to animals. I have quite a few pets and I’d like to be able to talk to them! I can’t entirely decide because I would want three different abilities. I want to be able to speak to animals, teleport wherever I want (and bring people with me), and I want the ability to read super fast but still 100% comprehend what I have read. Omg that reading thing is a super power I never knew I always needed. Literally no power could top that. I would want the power to refill things. Fridges, bank accounts, gas tanks, bladders…all refillable. Being able to have infinite time. The ability to be invisible! I would totally, 100%, want the power to control the wind. It has SO MANY practical applications. Need a cool breeze on a hot day? I got you covered. Left your phone on the counter but just sat down? No Problem, I’ll get a small wind to carry that to you. Somebody mocking you with a far-too-perfect hairdo? WOOSH, not anymore. I’ve also decided I’d also be able to fly, breath underwater, create invisible walls of solid air . . . and be a certified Squaller in the Grisha Army of Ravka. LOL 😀 I love all those small practical applications of wind power! Who says control over the wind always has to be on some grand epic level, right? Healing power would be the best. My superpower would be to instantly know the answer to any question I was asked. I think either teleportation or telekinesis, can’t decide. If it’s a super power to overcome an enemy I’d definitely want the power to beat anxiety and depression and also help people beat anxiety and depression as I’ve struggled with both for 16 years. If it’s just a fun super power I think it’d be cool to talk to animals. I believe I would like the power to mend the broken. I could fix those broken both mentally, physically or spiritually. I would be a healer but more than a regular one. When you’re old, pretty much everything hurts your back. Sleep on the wrong pillow, back hurts. Bend down to pick up a pen, back hurts. Uncharacteristically large sneeze, back hurts. With the power to heal, I could fix this. I could fix it for everyone. I would definitly want the power to heal, others and myself. I’ve been really sick since high school and the hospital has become like a second home…to be able to heal myself and others who are suffering would be awesome!! I like the look of flying on a broom too. But do you ever wonder if riding on the stick part of the broom is horribly uncomfortable? If I would have a super power, I’ll like to be able to control everything that has a connection with nature such as plants, water, animal, etc. It would fantastic to have wild animal by my side. T. Rae Mitchell is a participant in the Amazon Services LLC Associates Program, an affiliate advertising program designed to provide a means for sites to earn advertising fees by advertising and linking to Amazon.com.